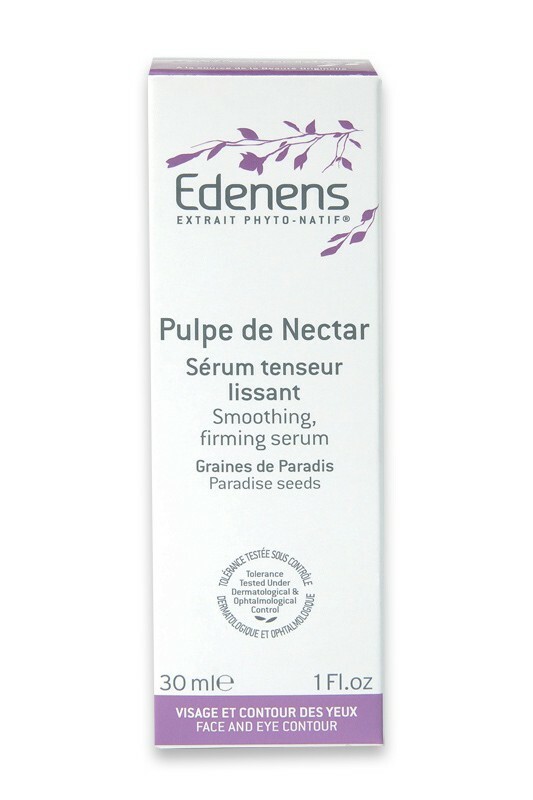 Edenens Smoothing Firming Serum Pulpe de Nectar instantly smoothes wrinkles leaving a soft veil on your skin. Its cream-gel texture is quickly absorbed to reveal plumpy velvet-touch skin. Paradise Seeds protect it from skin ageing thanks to its high content of tannins and vitamin E. Sorgho Juice forms a firming layer onto the skin for a "micro-lifting" effect. Phyto-Native Extract feeds skin cells with essential nutriments : peptids, amino acids, minerals. One hour after applying Edenens Smoothing Firming Serum Pulpe de Nectar, your skin is visibly firmed and smoothed. After one month of use, your face seems lifted, skin regains firmness and wrinkles are visibly diminished. Skin tolerance tested under dermatologist control. Free from parabens, silicons, mineral oils, colouring agents. Not tested on animals. Le sérum est vraiment super, laisse effectivement la peau lisse et douce, il donne une bonne hydratation sans tirer trop la peau. C?est un vrai dommage que les ingrédients ne son pas aussi bio et vert? 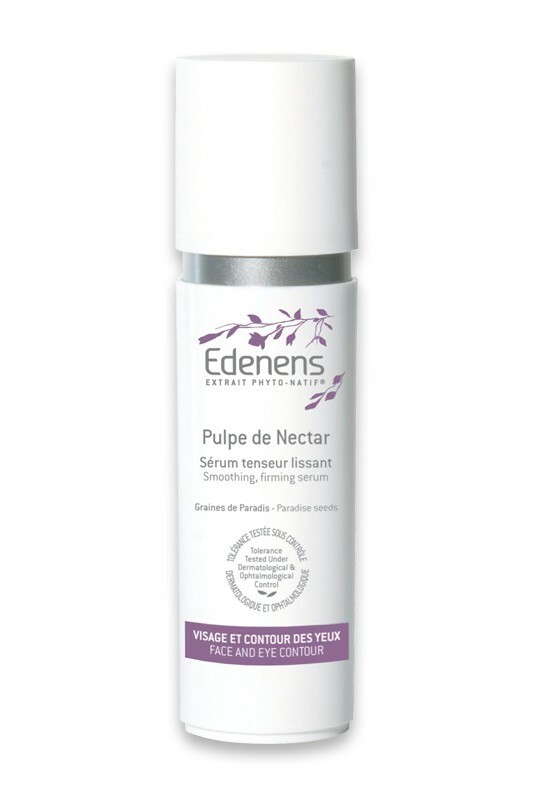 Apply day and/or night Edenens Smoothing Firming Serum Pulpe de Nectar on perfectly cleaned face, eye contour and neck. Can be used alone or before Edenens Sève Dermo-Relaxante or Crème Native Régénérante for improved efficiency. Keep away from heat and light.